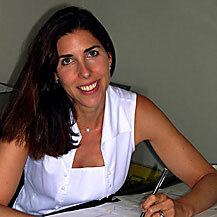 Shelly Ziegelman has practiced Architecture and Urban Design for over 20 years. Her experience includes museums, private homes, schools, multi-family housing, office buildings and waterfront design. Since 1992, SWZ Architects has thrived, serving clients in a wide arc of towns North and West of Boston, as well as Chicago, Virginia, and Baja Mexico, designing highly personal and elegant renovations and new construction projects that are sensitive to their environments. The firm’s work has been recognized in numerous magazine articles and television pieces.